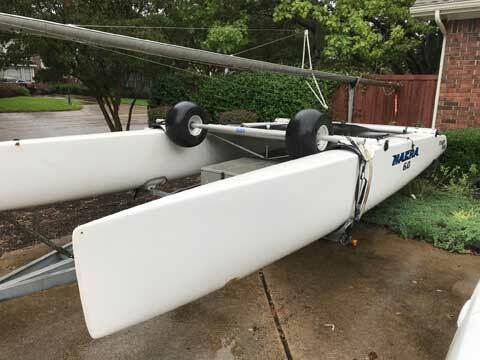 new running rigging for the main. The trailer has a 4 flat wiring harness and license plate. I own the boat and trailer free of any encumbrances. 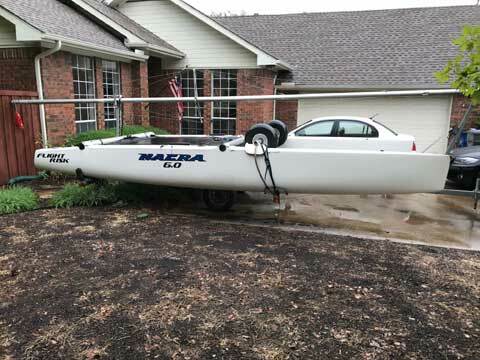 The boat is in good condition but could use a good wash. 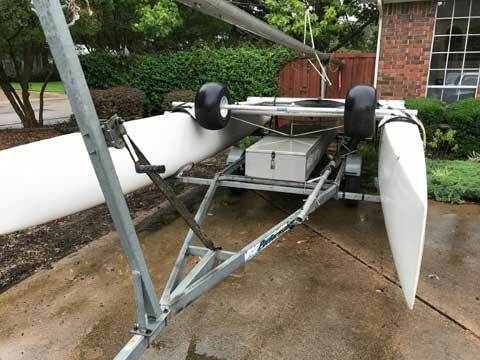 I had always wanted a 20 foot catamaran and bought it when I came across it. Sadly, with an 8-month old, I do not have time for it (as evidenced by the state of my lawn in the picture).